Mozilla is working on an updated version of the preferences in the Firefox web browser to remove inconsistencies and improve the user experience. 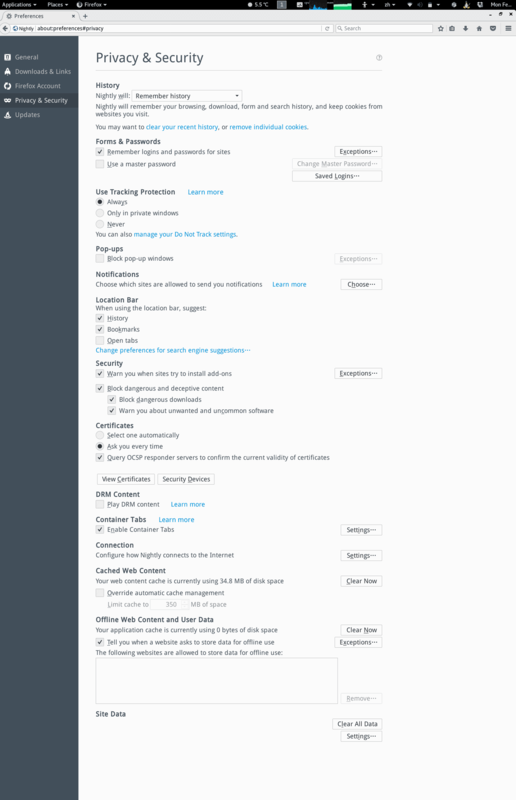 The Firefox preferences page allows users to modify various important browser settings such as the homepage, update behavior, or search engines. The 2017 update to the preferences page of Firefox will change things around fundamentally, but won't remove any options from the preferences (not that I'm aware of). Note: The development is still in progress. Things may change along the way, Mozilla may move preferences around, create a new category, or make other changes that are not reflected here right now. We will update the article once we become aware of these changes if they happen. If you notice them first, let us know and we update the article asap. The design goals are simple: remove inconsistencies, and improve categories for better navigation. Mozilla did ran some tests and results indicate that the "average success score" improved by 30% over the current implementation. Average success core in this context means whether users managed to complete tasks in the settings successfully, or not. The current implementation of the preferences in the Firefox browser uses the eight tabs general, search, content, application, security, privacy, sync and advanced. Advanced is further divided into the tabs data choices, network, update and certificates. The new design will reduce the number of tabs to the following five: general, downloads & links, privacy & security, Firefox account, and updates. No sub-tabs are used either. This means that some categories, general and privacy & security in particular, will be bigger than before. Note that Firefox Account looks like a new category, but it is just Sync renamed. As far as inconsistencies are concerned; Mozilla plans to remove those as well. To name some: learn more links are placed on the right or next to a preference, search may be next to an item, or on top of it, and options or description fonts may be bold or normal weight. 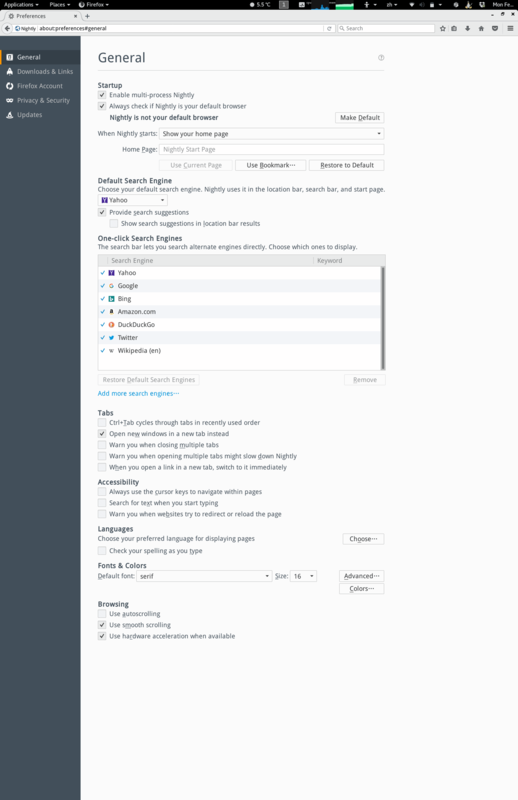 The new preferences make the preferences more compact, as all are listed on five tabs instead of eight (plus four sub-tabs). Mozilla plans to integrate a search option on the preferences page that enables you to find preferences quickly using it. A demo video has been published on YouTube that shows how that search works on Firefox Nightly. I prefer less tabs over more tabs when it comes to preferences. Others may prefer it the other way around, especially if the new system requires scrolling to get to certain options. Now You: What's your take on the new preferences in Firefox? What’s the deal with underlined letters in options, if the combination ALT + letter doesn’t work anymore, the way it was supposed to? In this regard, I definitely prefer previous dialog boxes, where you could also navigate using keyboard. Or is there a different way of using these “shortcuts” now? Another try to copy Chrome. That is all what Mozilla does. Restructuring their browser so Chrome users will switch over. I loved the old Mozilla and i loved the old Firefox. 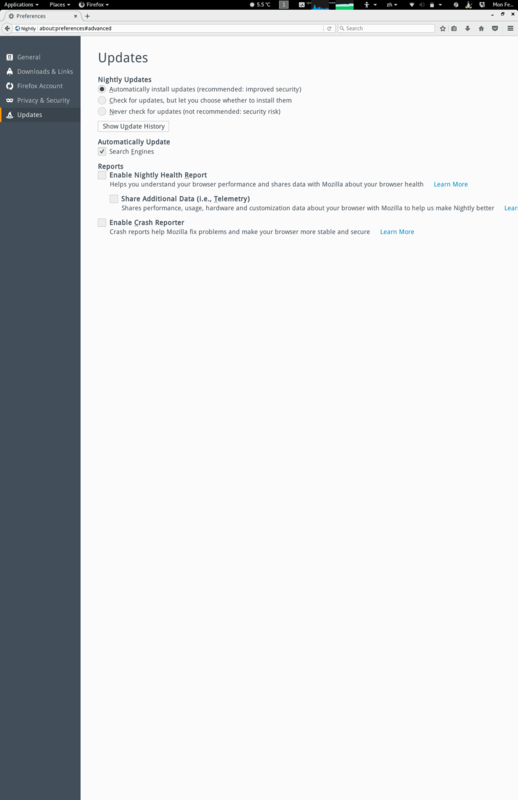 Today, both Mozilla and Firefox are a terrible developer team and a terrible browser. Selling out users and features for Chrome users. There is nothing about Mozilla which i still would be able to respect. They have turned from heroic protectors of the open web similar like Google into a serious enemy of the same. Mozilla today is just despicable in the most ugly way. They are abusing the concept of Open Source, being dishonest and caring only for money and hunger for influence and market share. A real pity is if that is all you can deliver as an organization. Even worse if you dare to call yourself an Open Source one. Mozilla has become utter garbage as soon as they started to love Chromes user base more than their own. And they are too arrogant and selfish to show something like mercy or respect or at least offer some kind of apology to power users and advanced users. That users which made Mozilla great. That users which are now discarded as they would be worth nothing! And yet it is true. Mozilla has discarded the right that people have to act friendly and non-critical towards them. If there is something going wrong, it should be shouted out loud and clear. Sure, Mozilla does not care, they are happy about their similarities with Google Chrome. Perhaps they really get the amount of Chrome users of their dreams. But still, they are respect-less, dishonest and corrupted corporate business guys who think only with their purse and not with their brain. Mozilla is like generation snowflake on the search for safe space. But who is a big sell-out has to take the beating which awaits them into the woods. Morons should be called the way they are. And Mozilla are a bunch of morons. Not the old Mozilla which should be respected. But that new bunch of corporate business guys who dream to be Chrome 2 and do everything in their might to make that dream come true. Such morons earn neither respect or love or protection. This is what they earn. To be called out! What? 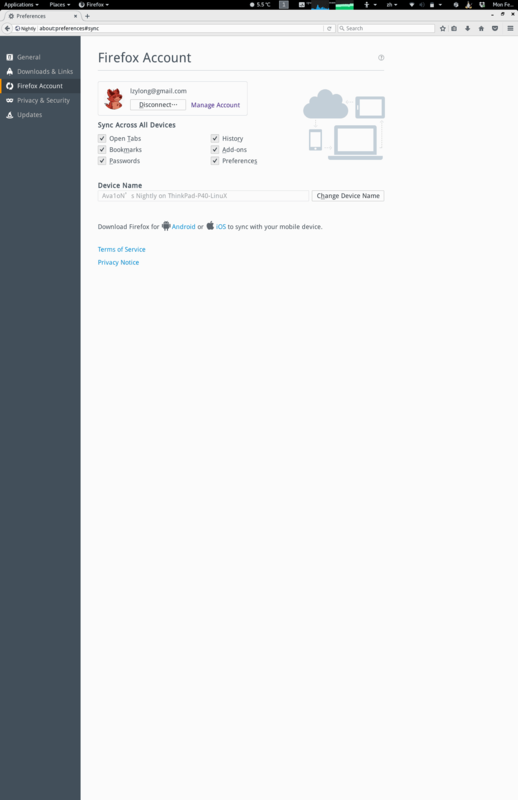 Firefox Account existed since the introduction of the sync feature. This just landed in Nightly today. I don’t like that you have to scroll through the pages. Hate it. UX-wise, it’s a pity. Scrolling instead of tabs, are we getting 20 years back? !